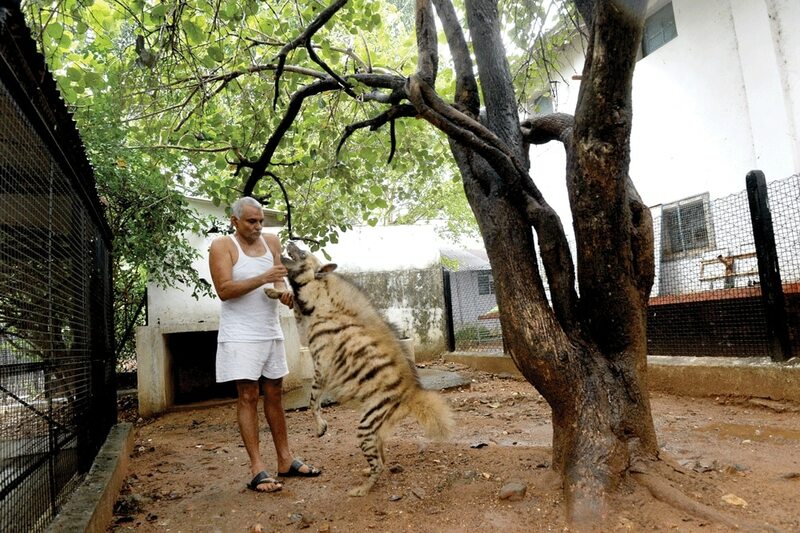 “Elsa … Elsa!” calls out Dr Prakash Amte, sliding open the gate to her den. At the sound of his voice, a five-year-old leopard pounces out, eyes shining, powerful muscles rippling under her gleaming fur, a deep, low purr rumbling from her chest. The 69-year-old breaks into the fond smile of a parent as Elsa paces around the enclosure, eyeing us briefly. A ball of simmering energy, she leaps towards a bare tree. As the camera starts work, she hops up on her hind legs, wraps her paws around the trunk in a hug, while Amte stands behind her, stroking her head and back lovingly. We are mesmerized by their powerful bond, clearly a result of years of love and camaraderie. After all, Elsa has lived with the Amtes snce she was a baby, when Maharashtra’s chief wildlife warden sent the orphaned wildcat for care and protection. Next, we move to Jasper, a 15-year-old striped hyena, who cackles excitedly as Amte scratches his head and extends his arm for a playful tug-of-war. Jasper soon shuffles to a shaded corner, offended by the drizzling rain. Then, it’s over to Raja and Rani, two 40-year-old marsh crocodiles, and finally Soma, one of six Indian sloth bears, who hooks her claws around Amte’s hand, holding it in place while she gobbles up a treat of roti and honey. 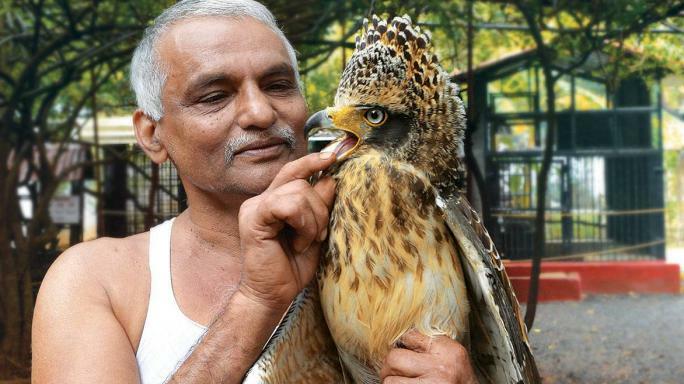 These are among the 115 animals across 24 species living in Amte’s Animal Ark in Hemalkasa, a village deep in the jungles of Gadchiroli, near the Maharastra–Chhattisgarh border. A wildlife orphanage, the Ark was founded by Amte and his wife Dr Mandakini Amte in 1974 to raise orphaned baby animals rescued from the surrounding Dandakaranya forest. Since then, many animals have lived under their care, sharing an incredible bond with their ‘parents’. The first to arrive was Babli, a rhesus monkey, whose mother was killed by a hunting party of the Madia Gond, an indigenous tribal community, which, at the time, depended solely on hunting for food. Babli was suckling on her dead mother when Amte intervened, offering food in exchange for the baby. The Madia agreed and continued to bring lost or orphaned animals to Amte whenever they found one. The previous year had seen Amte’s father, the famed social worker Murlidhar Devidas Amte (aka Baba Amte) lay the foundation of Lok Biradari Prakalp (LBP) to educate and empower the Madia Gond people. Baba is best known for his first project—Anandwan, a rehabilitation commune for people with leprosy, set up in 1949. Today, that organization is managed by his elder son Dr Vikas Amte and offers aid to differently abled people. “That was the environment in which I grew up. I decided at 16 years old that I would continue [Baba’s] work,” says Amte. Amte, by then a surgeon, took up the reins of LBP in 1974 with a single hut, where he and his wife provided health services to the locals. With limited infrastructure and resources, life in the forest was tough. Harder still was winning the trust of the Madia. Says Amte, “It was a struggle, but then we thought of how much the Madia must be suffering as well.” With the help of funds from the government, private organizations, and, most importantly, individual donations, the camp has since expanded into a large hospital treating an average of 200 people a day, a boarding school housing 650 students and the Animal Ark, which, at one point, was home to 300 wild animals. “At first, we had no idea how to care for wildlife,” recalls Amte. With no background in veterinary sciences, Amte relied on his medical knowledge and observation. Today, the Ark has a full-time vet. Amte’s work with the Madia has inspired them to cultivate the land and rely less on hunting. Having lived such protected lives with humans, however, makes it unlikely that the animals will make it in the wild. “Even deer and antelopes learn from their mothers what leaves are safe to eat or how to defend themselves,” says Mandakini. “We can’t teach them these lessons.” Hundreds of visitors flock to the Ark every day, for free. “I check on the animals daily and answer visitors’ questions, clarify misconceptions and educate them. That animals also have the right to life, is important to convey,” Amte says. At first, the authorities objected. “They have seen for themselves how well the animals are cared for, and that I’ve complied with regulations. Now they have asked us to expand the enclosures. It’s a Rs 10-crore project, and we are in the process of fundraising. I’ve earmarked 10 acres of land and built the mandatory two-metre-high compound wall. The plans have been sent for approval,” he explains. Watching Amte hugging his three-year-old granddaughter Rumani, chatting with his wife in his tranquil front yard or murmur quick instructions to Sachin Mukkawar, his key co-ordinator, you would think he is an average village elder. But this outstanding, yet ever-humble man in well-worn, white drawstring shorts and simple, sleeveless vest is the recipient of close to 30 prestigious awards including the Padma Shri, the Ramon Magsaysay Award for community leadership, the Venu Menon National Animal Award for lifetime achievement and the Rajiv Gandhi Award for wildlife conservation. While Amte currently focuses on spreading awareness and interacting with the public (he is regularly invited by esteemed educational institutions, and other forums for lectures), his children now take care of the LBP operations. Elder son Digant and his wife Anagha, both doctors, run the hospital, while the younger Aniket heads administration and his wife Samiksha runs the education vertical. While the tireless efforts of three generations of Amtes have brought LBP far, their work is by no means complete. Water conservation, skill development for the livelihoods of youngsters, and a new school in the deep interiors for Madia children up to 11 years old are all ongoing efforts. Meanwhile Amte’s Animal Ark celebrated its 45th anniversary on 23 December 2018 along with resident staff, students and local communities, each of whom live and breathe Baba Amte’s all-embracing philosophy of love, respect, acceptance and compassion for all living beings in the world. To visit or donate to Amte’s Animal Ark go to www.lokbiradariprakalp.org. 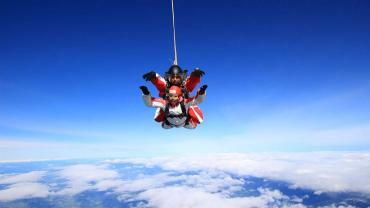 After class XII, Hasina Kharbhih had secured a scholarship to study at Cardiff University, UK. Since she was the first student in her college in Shillong to get such an opportunity, her class threw her a party. But as Kharbhih stood at the airport clutching her luggage, she couldn’t shake off the guilt she experienced. Kharbhih was active in charity work that her high school, run by missionaries, encouraged. “We were taught to give charitably and feel good about it,” says Kharbhih, 47. But she sensed that there was something wrong with this culture. She would argue with her friends that the poor shouldn’t have to depend on other people’s generosity—that they too were citizens and had rights. This prompted Impulse to work towards creating a strategy that would allow the authorities to identify and rescue trafficked individuals with the help of local residents. Called Impulse Model, it won an award from the Japanese Global Development Network in 2012, and has been adopted by all the north-eastern states and by Bangladesh, Nepal and Myanmar. The NGO’s anti-trafficking campaigns received widespread media attention in 2009, when Impulse filed a public interest litigation at the National Green Tribunal against the coal-mine owners of Jaintia Hills. The mines use a primitive method called rat-hole mining, in which small pits are dug in the ground. The passages to reach the coal seam are very narrow and only a single, small-sized person can enter it. The coal mine owners regularly employed young children trafficked from Nepal and Bangladesh to work in these unsafe conditions. 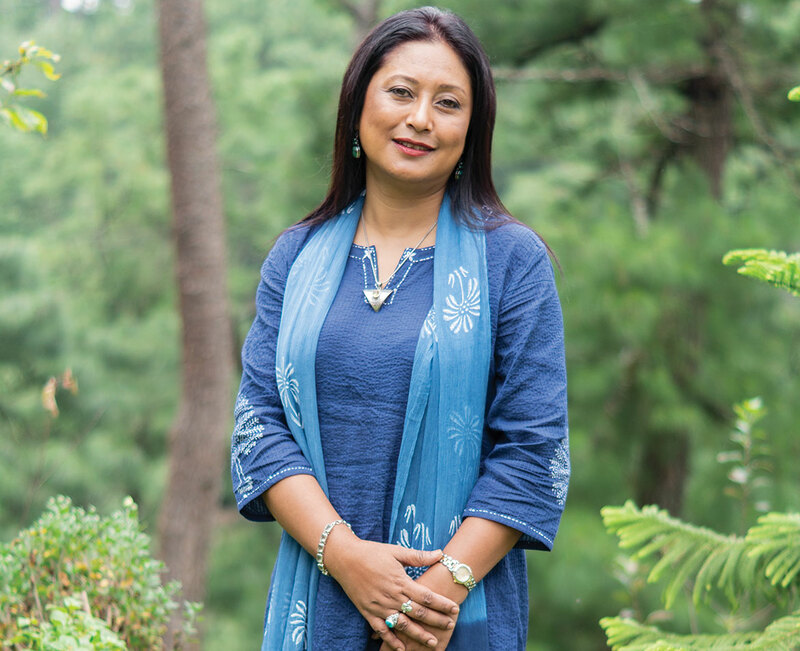 In 1989, when Kharbhih stood at the airport, it was the same impulse that guided her. “The NGO had just been formalized after two years of toil. I was working with just a handful of craftswomen, but they had put their faith in me. How could I let them down?” Kharbhih returned home from the airport and sat down to work, drawing up more ambitious plans for her fledgling NGO. If you look up the name Phunsukh Wangdu on Google, the problem-solving Ladakhi teacher from 3 Idiots, played by Aamir Khan, the first search result that pops up is the page of Sonam Wangchuk. The character was inspired by, not based on, Wangchuk’s life, as he’s quick to remind, not without a bit of irritation in his voice. Who is Sonam Wangchuk? He is an engineer, innovator and education reformist who won the Magsaysay award last year for his contribution towards the progress of the Ladakhi community by harnessing nature, culture and education. There’s a long list of awards and honours, including recognition from the Jammu and Kashmir government and an Ashoka fellowship, among others. Wangchuk founded Students’ Educational and Cultural Movement of Ladakh (SECMOL) with a group of Ladakhi students in 1988, at the age of 22. The non-profit was born out of a desire to improve primary education for Ladakhi children, 95 per cent of whom were ‘failing’ in school. Or rather the state school system was failing them, with unfamiliar languages as a medium of instruction, and untrained teachers who emphasized learning through rote, which led to Ladakhi children dropping out of school. Witnessing this, Wangchuk asked an important question: “The system would still be creating broken products for us to repair 50 years down the line. Why create products that were bound to break?” SECMOL launched Operation New Hope in 1994 to overhaul primary education in Ladakh. The intervention proved a success; their initiative was adopted as Ladakh’s education policy and the local administration made primary education their top priority. This resulted in a marked rise in matriculation, from 50 per cent in 2006 to almost two thirds today. For those who were still failing, an alternative learning centre was set up in Changthang where students learnt from one another, with teachers only as guides, solving real-life problems. With help from Wangchuk, they built ‘ice stupas’, or artificial glaciers, as a green solution to the water shortage in the region. They ran the school on their own too, with an elected body that changed every two months, learning about governance in the process. They picked up design and innovation by setting up solar-heated mud buildings ideal for sub-zero temperatures. The campus has since grown into an eco-village that uses only renewable sources of energy. He enrolled in a conventional school at age nine in Srinagar—but hated it. He ran away from the terrible teachers who hit him and made him feel small for not being able to follow Urdu. It was at a Kendriya Vidyalaya in Delhi, where tribal children from the border areas came to learn, that he discovered the power of a good education. “My teachers in Delhi made me a star out of nothing,” he reminisces. One summer break, Wangchuk opened a tuition centre in Ladakh, which had about 100 enrolments by the end of it. At 19, Wangchuk was able to raise enough money to put himself through three years of engineering college in just two months! “You haven’t really learnt something until you have taught someone else.” This teaching experience also laid the seeds of SECMOL. After graduating, he had no desire to become another engineer in the city, so he decided go back to his roots to explore the idea of teaching. The rest, of course, is history. Wangchuk is now working towards making higher education accessible. The prize money from the 2016 Rolex Award for Enterprise was invested in the Himalayan Institute of Alternatives, a higher-education facility. Offering courses at a subsidized fee, this hands-on institution has schools of business, tourism and hospitality that run innovative and self-financing programmes. Revenues from the schools sustain the university while students get free higher education and experience. No wonder they are staying back to work here. 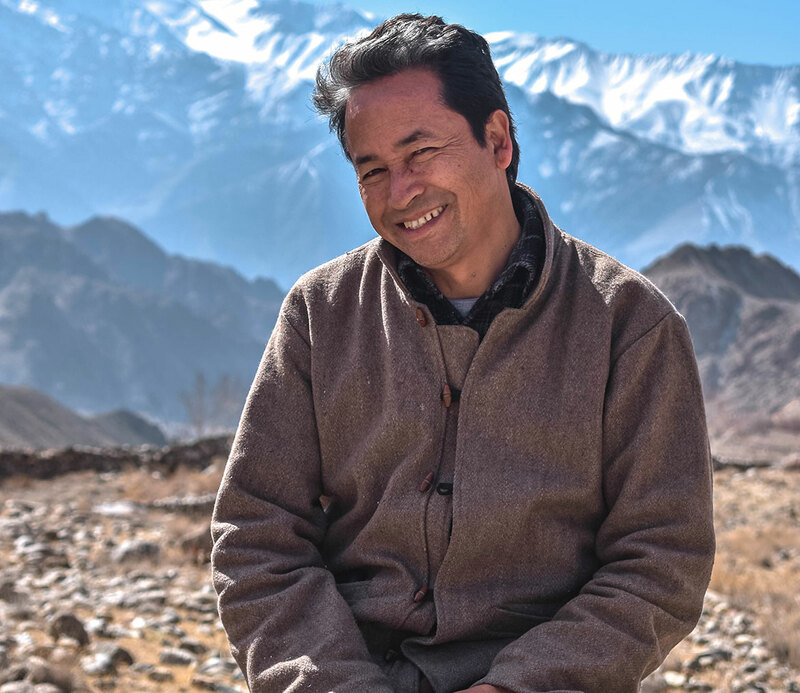 A committed green activist, whose only religion is the environment, Sonam Wangchuk has built a tight-knit and self-sustaining local community that could become the model for the rest of India. Shakib’s* life had never looked darker. He was in his 20s and had inexplicably started believing that he had hydrophobia. Living in a rural area with little understanding of his condition and no access to professional care, Shakib’s family was at their wit’s end and had given up on a remedy. Neighbours and acquaintances deemed him insane, causing a further spiral into depression. Today Shakib is a tailor, a thriving and contributing member of society, often helping the people who had once alienated him. And if he hears the names of Keka Majumder and Manika Majumdar, his eyes shine with happiness and gratitude. After all, it was their counselling and dedication that helped him get back on his feet. Keka and Manika are two seasoned foot soldiers of Janamanas, an initiative of the mental health organization Anjali, which began in 2008. Operating from a kiosk near the Tetultala bus stop in the Rajarhat–Gopalpur municipality, Kolkata, the seven-woman team is on a mission to help poverty-stricken people overcome their mental health issues through door-to-door counselling. In India, the stigma of mental health runs deep, even among the educated. Afraid to speak up for fear of being labelled ‘abnormal’, people continue to suffer from this silent epidemic. The issue is even more severe in rural areas where education is limited and superstitions abound. Most people in such areas often refuse to seek treatment, which only adds to their woes. Undeterred by the lack of perception and awareness, the Janamanas team’s efforts have overcome significant hurdles. There’s always been a shortage of funds—as Manika recalls, they were initially paid as little as Rs 500 for half a month; there was a period during which they weren’t paid at all. Currently, they get Rs 6,000 per month. Worse, despite intense planning, people simply didn’t show up for their awareness campaigns or visit their booth. So from 2015, they began door-to-door counselling, according to Provati Roy. “Even then, problems persisted,” says Kabita Mondal, “especially in Muslim-dominated areas where people refused to open their doors when we visited.” The situation changed only after days and months of persuasion. Despite the odds, the Janamanas team provides free counselling sessions, organizes hospital trips and arranges for affordable medicine for patients. Japanee Das says that they also hold meetings, events and campaigns in the area, including educational plays that are very popular with the kids. She adds that they even set up stalls at community fairs to sell items made by local women and promote awareness. The door-to-door campaigns deserve a special mention, though—the team conducts one every week where five members cover 200 to even 300 houses a month, getting people to talk openly about mental health and accept it as an unfortunate but treatable human condition. In Manika’s experience, around three members in each household are disturbed mentally, while every fifth or seventh house has a person with a severe mental disorder. Their work has led to greater tolerance and sensitivity towards victims of mental health. According to Jharna De, the team members are well known by now, and people approach them far more freely than they did when they first started out. What is remarkable is that none of the seven members comes from a privileged background or has received a thorough education. What they do have is a history of experiencing or observing abuse—emotional, psychological or otherwise—in their families. Sandhya Sarkar, for instance, fell into deep depression and contemplated suicide as an escape from the abuse she faced from her husband and in-laws when she found Janamanas. As a child, Manika also witnessed her mother’s abuse at the hands of her father and was made to quit school after class six. But today she is the winner of the Woman Exemplar Award from the Confederation of Indian Industry Foundation—an honour she received from the President of India in 2017. In an age when the mental health epidemic is burgeoning, a selfless initiative like the Janamanas project is simply outstanding. Kudos to these seven remarkable women—heroes in every sense. “We have grown so attached to our work that we want to continue this forever” is a sentiment echoed by the team—and we can certainly toast to that! Marimuthu Yoganathan grew up in the lush forests of Kotagiri in the Nilgiri Hills of Tamil Nadu where his parents, migrants from the plains of Thanjavur, were tea pluckers at an estate. Even as a child, Yoganathan was aware that he was fortunate to be part of this landscape, of being able to fill his lungs with cool, fresh air, sit under the shade of mighty trees and chance upon the little animals who shared this land with him. It was only natural for him to fight back those trying to destroy this paradise. He was 13 years old when he first stood in front of a truck carrying illegally felled trees, refusing to move. 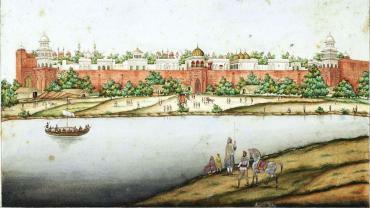 Tea factories needed firewood, which the owners believed was freely available to them from the forests. “There were laws to protect the forests but nobody cared to implement them,” says Yoganathan, 50, who now works as a bus conductor for Tamil Nadu State Transport Corporation in Coimbatore. He even convinced friends to join in. “The first time we blocked a truck, we managed to file a complaint with the forest official who took action against the men,” he says. “When we made a huge ruckus the tree fellers would generally abandon the trucks and run away.” Sometimes, they simply beat the boys up. “That’s when I understood that I was doing something important,” says Yoganathan, laughing. He realized that he couldn’t protect his beloved trees alone, and thus began his mission of spreading awareness. In the ’80s, he did so by putting up street plays in the tea estate. “Everyone there was trying to make ends meet but they recognized the value of nature. Watching our plays, people began coming out in support.” Today, Yoganathan spreads his message armed with a slideshow. 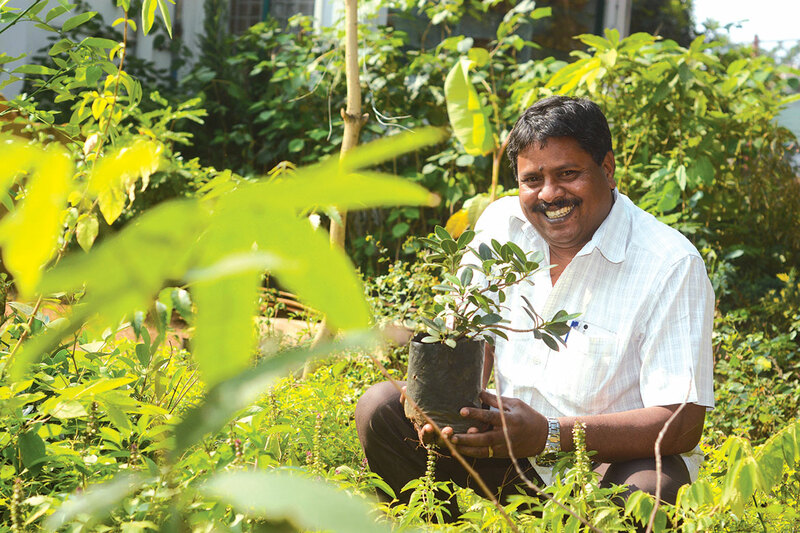 The crux of Yoganathan’s endeavour, however, is to make people really care about the environment. “I cannot describe the joy I experience when I see a tree I have planted tower over me. I want others to experience the same joy.” This is why he encourages people to plant trees in their immediate surroundings, so that they can look after it and see it transform before their eyes. Even though Yoganathan has won several awards—the Eco Warrior Award in 2008 from the Indian government and Real Heroes award in 2011 from CNN-IBN, for instance—he is often branded a “public nuisance” and dragged to police stations and, sometimes, to court. In 2016, for example, when he opposed the felling of trees to widen the road inside Coimbatore’s Agricultural College and Research Institute, he was arrested but released within a few hours as locals and bystanders rallied in support. “It’s not easy to explain to people that trees are not a nuisance, we are the nuisance. But so far, whenever I have been taken to court, the judgement has been in my favour,” he adds. As a bus conductor, Yoganathan’s income is modest, much of which is spent on travelling the length and breadth of Tamil Nadu, spreading awareness and planting saplings. “Last year I spent my entire Diwali bonus on a tree-planting drive, but my wife and daughters never complained. I am happy to have people in my life who understand that some things are worth fighting for—no matter one’s limitations,” he says. “No one can be good for long if goodness is not demanded of him,” playwright Bertolt Brecht once wrote. The story of Arun Gadre and Abhay Shukla is a sharp denial of this theory. In 1978, Abhay Shukla was selected for the coveted computer science course at the Indian Institute of Technology, Kanpur, where his father taught physics. Shaped by scientific enquiry with dreams of social change, and encouraged by his socialist father, he decided to work as a trainee with Dr Debasish and Chandana Bakshi, who ran a street clinic in Calcutta. “The Bakshis’ work and reading Dr Norman Bethune’s moving life story, The Scalpel and the Sword, I decided to become a doctor instead,” looks back Shukla, 56. Bethune was an extraordinary surgeon, a campaigner against private medicine, and pioneered the use of blood transfusions on the battlefield saving hundreds of lives. Inspired, young Shukla was restless to launch into a life of service, battling injustice and inequity. A brilliant student, he made it to the All India Institute of Medical Sciences studying Public Health and Community Medicine. He then returned to Kanpur to work in occupational health with leather workers. Shukla’s association with rights-based, people’s movements and Dr Anant Phadke, coordinator of SATHI (Support for Advocacy and Training to Health Initiatives), brought him to Pune in 1995. Dr Arun Gadre, 61, never imagined he would have to give up his two-decade-long labour of love—the small maternity home built along with his anaesthetist wife Dr Jyoti in Lasalgaon—to move to Pune. Graduating from Mumbai’s Grant Medical College, Gadre’s early days were inspired by the social worker Baba Amte. As a young intern, Gadre would hop on to a truck to head to Hemalkasa, Amte’s ashram, and work amongst the tribal people. This experience, along with his encounter with Dr Paul Brand, the missionary doctor who worked with leprosy patients, stoked the desire in him to work for the underprivileged. “Jyoti and I decided to leave Bombay and eventually move to Lasalgaon, a village 67 km away from Nashik,” he says. “The first 10 years were a dream come true, a real opportunity to serve the poor,” he says. The couple charged patients minimally, sometimes performing heroic medical feats in the face of odds. “There was no blood bank, no paediatrician, no hi-tech equipment. Yet, we could successfully turn around bad situations, because patients had faith in us,” he says. However, the toxic winds of commercialization meant a breakdown in this relationship. Unwilling to give commissions to referee doctors and hospitals, Dr Gadre’s practice started dwindling. Politicians and patients were sucked into this culture of profiteering as well; shattering Gadre’s dreams of building a community of care and trust. A couple of flashpoints where their lives were endangered—a violent mob of 300 people assembled to threaten him, in one case—prompted the couple to shut down their nursing home and flee. They followed their elder daughter to Pune in 2006 when she moved there to study. This is where Gadre met Phadke and ultimately joined SATHI in 2013. SATHI, which works for health rights issues in partnership with civil society organizations and facilitates advocacy at various levels, was where Gadre also met Shukla. Together they, along with fellow activists, have made a significant impact in building a counter-narrative in health care. They have been able to create models that have emerged as an alternative to the current paradigm. 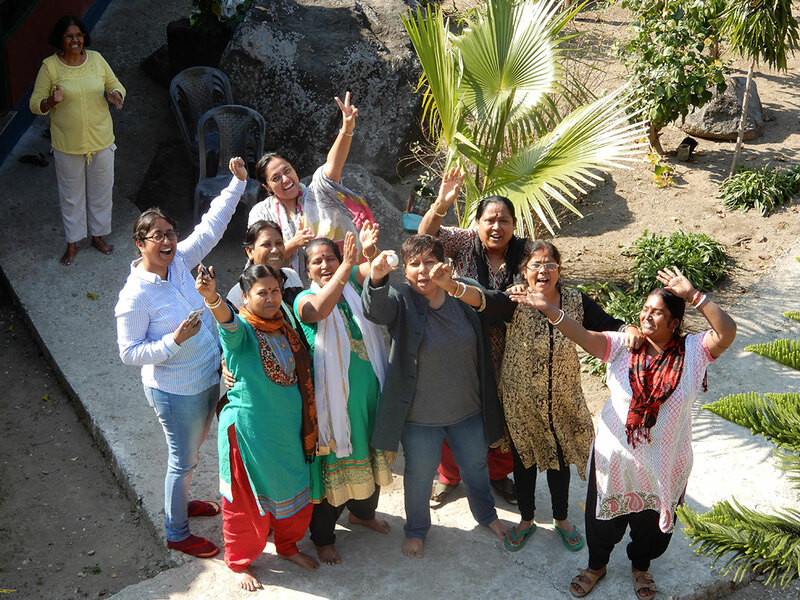 “Working both on public and private health care, they have been fostering health rights for all and campaigning for a more rational and humane system of care,” says Phadke, their mentor. The doctors turned whistle-blowers with a report on unethical medical practices in 2014. Their book Dissenting Diagnosis came out of their interviews with 78 doctors across the country, who revealed the grave corrupt practices they were either forced into or witnessed. This later led to the formation of the Alliance of Doctors for Ethical Healthcare (ADEH), a collective of 200 doctors from around India who are campaigning for better patient rights, calling out corruption and commercialization. 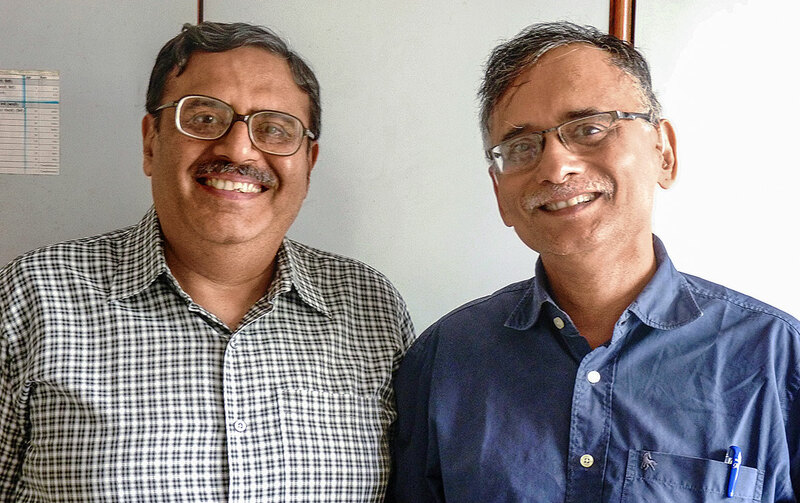 Gadre and Shukla’s key contributions have been in establishing community-based monitoring of health delivery systems, ensuring people’s participation and accountability, which could well emerge as a national model. Working under the Jan Swasthya Abhiyaan, they are campaigning tirelessly for the right to universal health care. 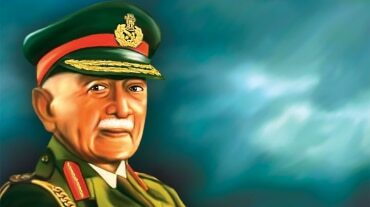 Whereas Shukla brings to bear his rigour as a researcher and the fire of his activism, Gadre’s experience as a clinician and his insights into private health care have powered their relentless struggles to make the medical profession noble once again.